I remember when a bag of fruit snacks in the lunch box was like gold. It was the snack that every kid wanted to get with their lunch, and it was the snack that every kid would be willing to trade for to get it. Times have changed, though. While fruit snacks are still often clamored for by kids, they aren’t always the best options for parents – especially if your child has dietary restrictions or you’re trying to follow an organic diet. There are 5 snack packs in each bag. Not only are they a healthier alternative to traditional fruit snacks, these are simply GOOD. Kids can be the pickiest eaters, but you’re unlikely to get any resistance with these fruity treats. The fruit snacks come in fun shapes that show their flavor: Banana, Cherry, Peach and Strawberry. The flavors are very accurate, meaning if you closed your eyes and ate one of the snacks, you’d instantly know which flavor it was. YumEarth offers more than just fruit snacks. Last year, we posted about the YumEarth Organics Gummy Bears and Organic Lollipops, which both got rave reviews. 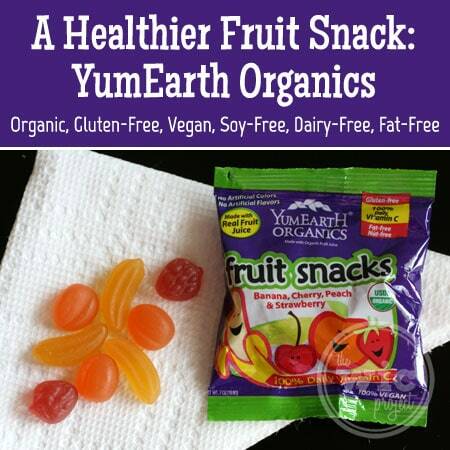 If you’d like to discover the tasty organic fruit snacks from YumEarth Organics in your child’s lunch box, you can buy them at the YumEarth online store and find them online on Amazon. P.S. I also received a bag of the YumEarth Naturals Sour Beans. You don’t see a photo of the YumEarth Naturals sour beans, because I ate them. All of them. I’m not even the hugest sour candy fan but I ate every single sour bean because they were the perfect blend of sweet and sour. I will be buying more of these. 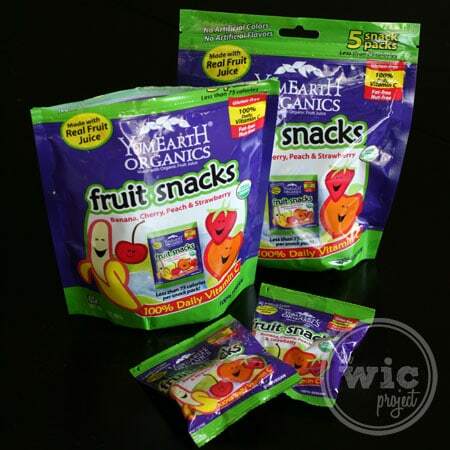 One (1) winner will receive a 50 (that’s five-oh) YumEarth Organics Fruit Snacks snack packs. I would LOVE to see them create a green Apple fruit snack flavor. To taste just like their YumEarth Green apple suckers. YUM! Those are amazing. I love cherry and pineapple. I would love to try coconut but I’ve never seen it. These would be a great snack to have at my house for when the grandkids are here to visit. Being natural is so much better for them. I like the grape flavor. I love strawberry flavored snacks! I really like grape flavor and any berry flavor. I love fruit snacks. I wish there was a watermelon flavor! My favorite is strawberry. It would be great if they had raspberry flavor. I love strawberry or cherry! I love the berry flavors! 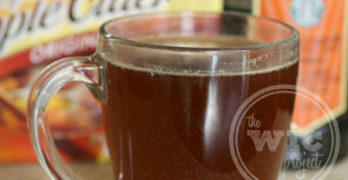 my fav is cherry – i just love the tart flavor – I do like mango and don’t see it that often. I love banana, coconut or cherry. I love the Cherry flavor! I love strawberry, but I would love to see mango and pineapple! My favorite flavor is cherry but I think a grape flavor would be good. I like lemon and strawberry! I love strawberry fruit snacks. I would like to be able to find banana or pineapple flavors! Those would be YUMMY! Cherry would be my favorite.. Strawberry is my favorite flavor of fruit snack. I love fruit though so would most likey love any fruit snack flavor that there is. I’d like to have a Blackberry/Black Raspberry flavor.